Description: In the early thirteenth century, following a major military victory, the founder of the Mandingo Empire and the assembly of his wise men proclaimed in Kurukan Fuga the new Manden Charter, named after the territory situated above the upper Niger River basin, between present-day Guinea and Mali. The Charter, one of the oldest constitutions in the world albeit mainly in oral form, contains a preamble of seven chapters advocating social peace in diversity, the inviolability of the human being, education, the integrity of the motherland, food security, the abolition of slavery by razzia (or raid), and freedom of expression and trade. Although the Empire disappeared, the words of the Charter and the rituals associated with it are still transmitted orally from father to son in a codified way within the Malinke clans. 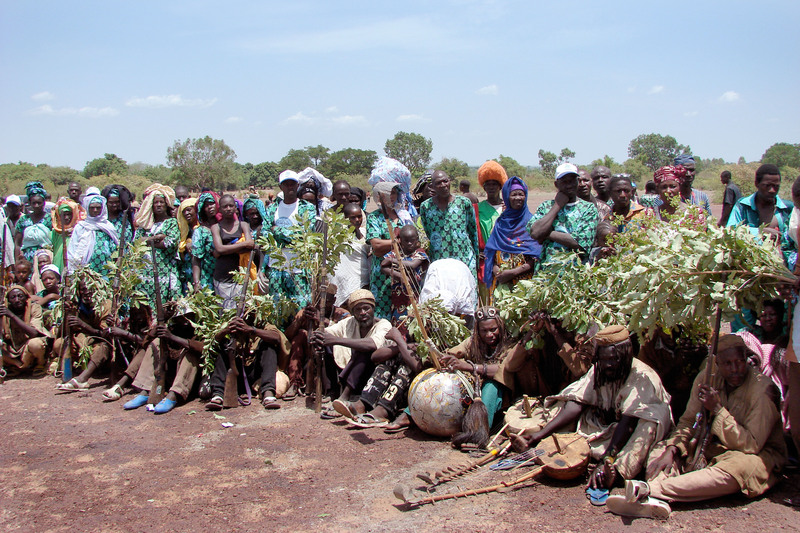 To keep the tradition alive, commemorative annual ceremonies of the historic assembly are organized in the village of Kangaba (adjacent to the vast clearing of Kurukan Fuga, which now lies in Mali, (close to the Guinean border). The ceremonies are backed by the local and national authorities of Mali and, in particular, the traditional authorities, who see it as a source of law and as promoting a message of love, peace and fraternity, which has survived through the ages. The Manden Charter continues to underlie the basis of the values and identity of the populations concerned. Collections: ?? ITH 4.COM 13.59 ? ?